Think Monte Carlo, and you'd perhaps think 'yachts in the harbour' - and you'd be right. 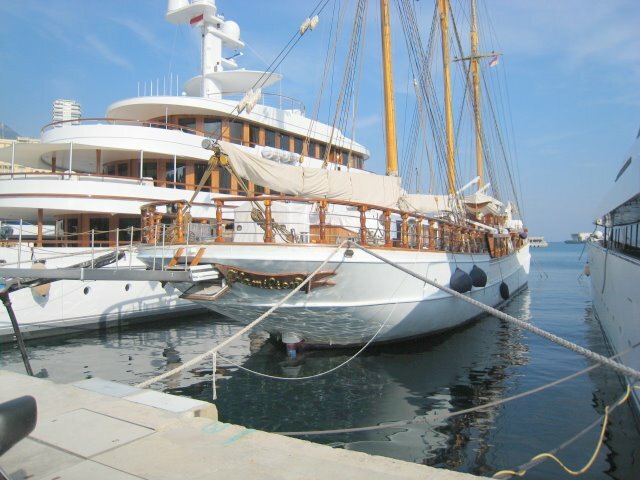 You'll find every type and size of boat here, from the grandest with helipad aboard to a small motor boat. Dropping the camera didn't seem to hurt it. Very nice pictures. Well I took this the other day, before I dropped the camera - but I did test it today and have privately sent you some pics, Abraham. It seems to have lived, thank goodness. One of the most beautiful harbors on the planet!